If Tepoztlan in Mexico isn’t on your wish list of places to visit, then the video below might persuade you otherwise. There’s just one major problem with the town – hotels there can be expensive. I just saw one on TripAdvisor that was described as ‘a great deal’ for $255 per night. Now it might well be a great deal if the amenities are fantastic but for many of us, our goal in choosing accommodation is fuelled by our budget. 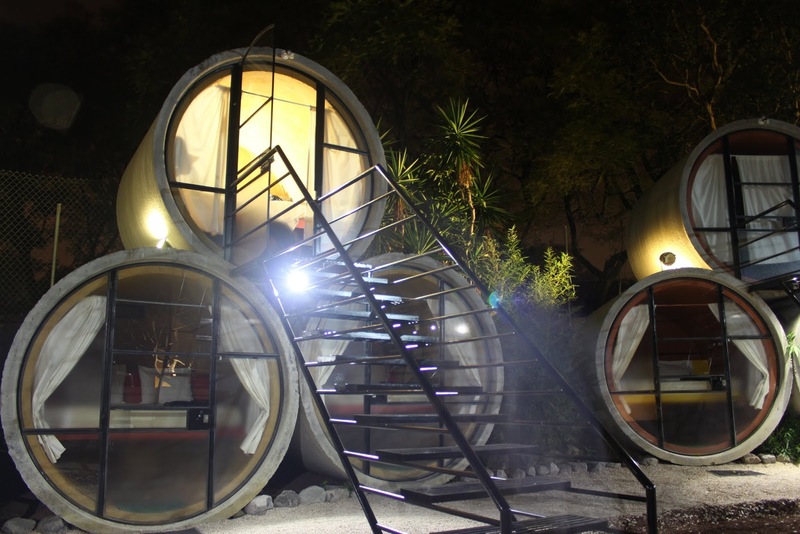 And for those of us who are budget travellers what could be better than the TuboHotel, pictures above and further down the page. And yes, the ‘rooms’ really are concrete construction pipes. The funky little rooms have large beds and little else. There are two communal shower rooms (one for men and one for the girls), a small dipping pool and 24 hour security. 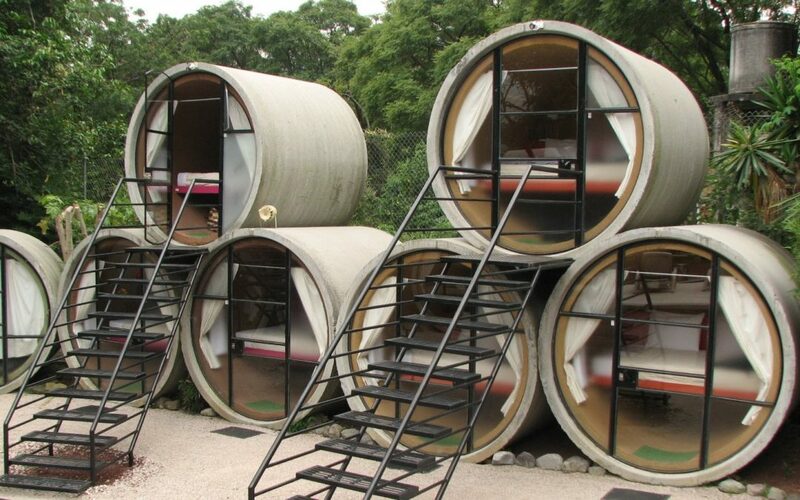 But the best part is the price – at time of writing you can stay in one of these tubes for about $25 per night. Each tube has magnificent views of the mountains and the surrounding countryside. Continental breakfast is included in the price and there’ss free parking and wifi too. You can see more and read reviews here. Because the washrooms are in separate buildings, it’s a good idea to make sure that you have a robe with you along with a pair of flipflops. During the rainy season it’s also a good idea to take mosquito repellent with you when you’re travelling in these areas – just the same as you would in Florida or any other tropical or sub-tropical region.